The Pitstop uses fresh produce to make the finest homemade meals and snacks. 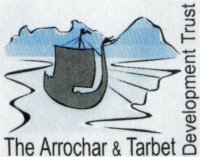 The Pitstop is owned by Arrochar & Tarbet Community Development Trust. It was purchased in 2004 with support from the Scottish Land Fund, Social Investment, Scotland and Scottish Enterprise Dunbartonshire. Income from the Pitstop is used to support local initiatives and future development of a village hall.